Every year Marvel Studio’s Cinematic Universe is getting bigger and bigger. 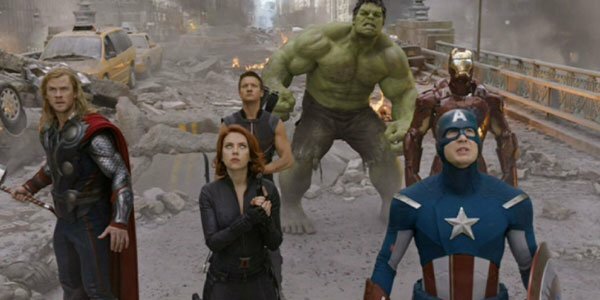 The studio has released at least one film every year since 2008, and just last year capped off their Phase One plans with The Avengers. But as any franchise gets bigger it becomes harder and harder for people to get into. That’s why I’m here to help. Just as I’ve done with every single Marvel movie since and including 2010’s Iron Man 2, below I’ve worked to try and help franchise newbies have a clearer understanding of what’s going on in Shane Black’s Iron Man 3. Want to know where the Iron Patriot comes from, what The Ten Rings is and who The Mandarin is? Read on! WARNING:This article contains some minor spoilers for Iron Man 3. While the first nine entries are safe, the last two may affect the surprise element and are clearly marked. Please be careful while scrolling! What Is It? Those of you who saw Joss Whedon’s The Avengers will be familiar with this epic fight. At the end of the 2012 film, Loki (Tom Hiddleston) successfully opens a portal in space that allows the aggressive alien race known as the Chitauri to enter our world. In the face of incredible disaster, Iron Man, Captain America, Thor, Hulk, Black Widow and Hawkeye joined to form the titular superhero group and save the city of New York from destruction and the world from enslavement. Who Is He? First introduced in Marvel's Dark Avengers series, the Iron Patriot armor was actually first worn by Spider-Man villain Norman Osborn. He wears the suit when he decides to create a new team of Avengers, and feels that he needs to make both Iron Man and Captain America's presence felt. How Does He Fit? Seeing as the rights to the Norman Osborn character belong to Columbia Pictures (he’ll be played by Chris Cooper in Marc Webb’s The Amazing Spider-Man 2), it has always been clear that the comic book origin wouldn’t fly in Iron Man 3 (no pun intended). 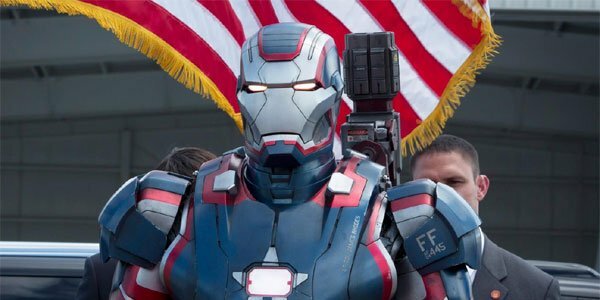 Instead, the armor is a modification of the War Machine suit stolen by James “Rhodey” Rhodes (Don Cheadle) in Iron Man 2, given a new paint job and a few weapons upgrades. Rhodes is hired by the President of the United States to wear the suit and serve as the nation's bodyguard - a reaction to the events during the aforementioned Battle of New York. Who Is He? Captain America has The Red Skull. Batman has The Joker. Superman has Lex Luthor. So who is Iron Man's archenemy? That would be The Mandarin. In the comics the character is a true genius and a sociopathic megalomaniac who wishes to rule the world. He was also originally designed with a sci-fi/fantasy element, wearing ten magic rings that grant him powers. How Does He Fit? 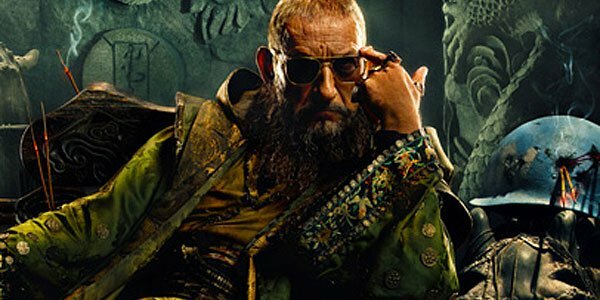 The Mandarin, as portrayed by Sir Ben Kingsley, is the inscrutable leader of The Ten Rings, an extremely powerful terrorist organization known for causing mayhem around the world (but more on them in a minute). He’s drawn into Iron Man’s world when he is goaded by the hero, and chooses to make a special project out of ruining Tony Stark’s life. What Is It? 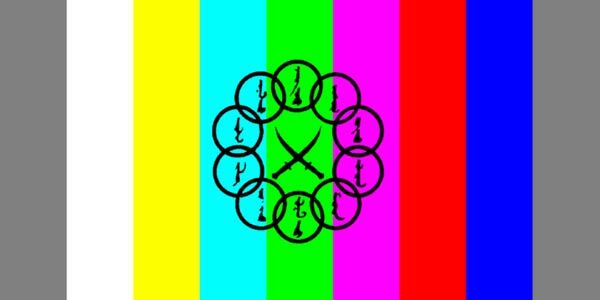 The long and short: The Ten Rings is a terrorist organization run by The Mandarin. The name of the organization comes from the rings that the leader wears on his hands. How Does It Fit? The Ten Rings has actually been a part of the Marvel Cinematic Universe since the beginning. The crew that kidnaps Tony in Iron Man is part of the organization (as indicated by the flag hanging on the wall during the ransom video), and in Iron Man 2 the character that delivers a fake passport to Anton Vanko (Mickey Rourke) is credited as “10 Rings Gangster.” Obviously, with The Mandarin as the main villain of Iron Man 3, The Ten Rings has a role in the plot. What Is It? 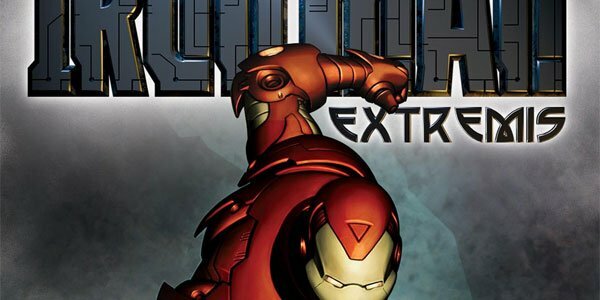 Extremis was first introduced in the Warren Ellis/Ari Granov comic arc “Iron Man: Extremis” as a creation of Dr. Aldrich Killian and Dr. Maya Hansen. Extremis is a virus that its creators were hoping could replicate the Super Soldier Serum that created Captain America. Sadly, it’s another failed try, and when the virus gets into the wrong hands it becomes incredibly deadly. How Does It Fit? Iron Man 3’s introduction of Extremis is quite similar to the comics, though it’s more directly an invention of Maya Hansen and more of an incredible medicine than a replication of the Super Soldier Serum. Keeping with the comics, however, is the fact that it causes the titular hero a great deal of grief and heartache. Who Is He? Aldrich Killian’s history in Marvel comics isn’t exactly what you would call “dense.” Originating in Ellis and Granov’s aforementioned arc “Extremis,” the character is credited as one of the creators of the serum, but doesn’t really live long enough to see its effects. Killian kills himself shortly after his introduction. How Does He Fit? 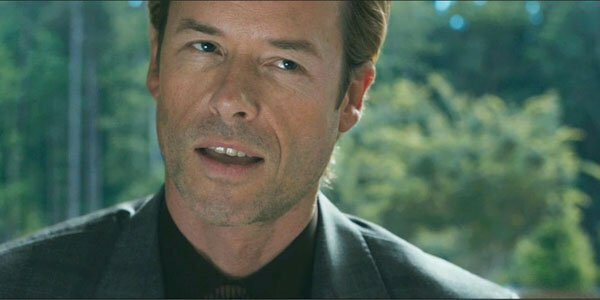 Killian is played by Guy Pearce in Iron Man 3 and, as you can imagine, has a much larger role than his comic book counterpart. This version of Killian is not only the founder of Advanced Idea Mechanics, a massive tech company that rivals Stark Industry, but also a former associate of Gwyneth Paltrow’s Pepper Potts. What Is It? 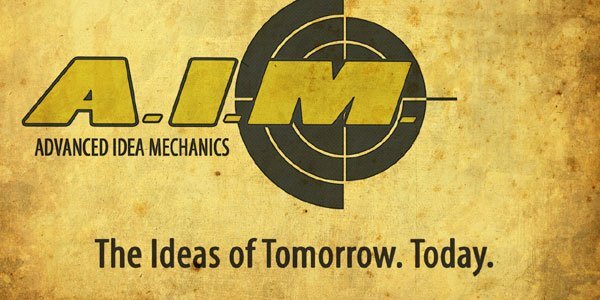 One of Marvel’s great evil organizations, A.I.M. – or Advanced Idea Mechanics – was first created as a think tank of evil geniuses who design technology in an attempt to over throw the world’s governments. It’s very much the opposite of S.H.I.E.L.D., the government organization run by Nick Fury. How Does It Fit? A.I.M. as comic fans know it actually gets a bit of a tweak for the Marvel Cinematic Universe. In Iron Man 3 it’s rebranded as a tech company – no longer just an evil organization – founded by the aforementioned Aldrich Killian (Guy Pearce). But can you really trust a company with such a sinister comic book background? Who Is She? Like Aldrich Killian, Maya Hansen was first introduced in the “Extremis” comic arc. Unlike Aldrich, however, Maya actually makes it all the way through the story. In her first appearance she is credited as the co-creator of Extremis along with Aldrich. She then winds up working with Tony Stark to try and recover the sample that her partner illegally sells. How Does She Fit? 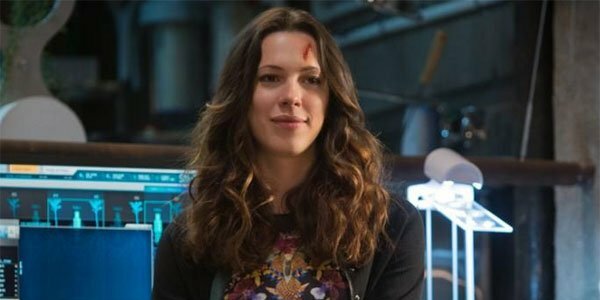 Maya, played by Rebecca Hall, is a new character to the franchise, and arrives as part of the Extremis plot. As you probably could have guessed, the film version is similar to what’s on the page. The character is first introduced through flashback being picked up by Tony Stark at a party, where it’s revealed that she has invented a very early version of the serum. What Is It? The Marvel universe is filled to the brim with nefarious organizations, and Roxxon certainly qualifies. The company is an energy corporation and the world’s largest conglomerate known for not letting ethics get in the way of profit. Due to its size and the problems it creates, it gets plenty of superhero attention. How Does It Fit? 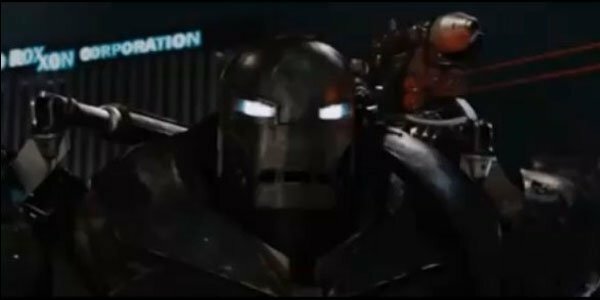 As you can see in the still above, taken from the first Iron Man movie, Roxxon has actually had a presence in the Marvel Cinematic Universe from the very beginning. The company plays a bigger role in Iron Man 3, albeit not a crucial one, but it’s fun to let non-comic book fans in on the reference and understand that this is just another piece of the gigantic world. Who Is He? 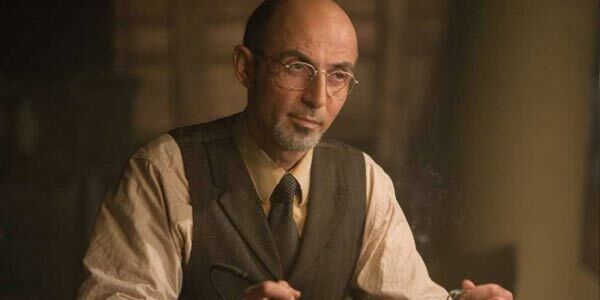 When Tony Stark was kidnapped by terrorists in Afghanistan and forced to build a missile, his fellow prisoner and assistant was a man named Ho Yinsen. Together Tony and Yinsen built the first ever Iron Man suit, which allowed Tony to escape captivity. Yinsen, however, was not so lucky. How Does He Fit? In the first Iron Man, Yinsen (played by Shaun Toub) tells Tony that they had actually met once before at a party – but that Tony was probably too drunk to remember him. This turns out to be very true, as Iron Man 3 opens on that very party. Who Is He? Bruce Banner was a government scientist working in the field of gamma radiation when a secret test went horribly wrong and resulted in Banner being turned into a giant, rage-fueled green monster with inconceivable strength and invulnerability. Not wanting to be turned into a lab rat by the government, Banner went on the run trying to find a way to cure himself of the evil beast within him. 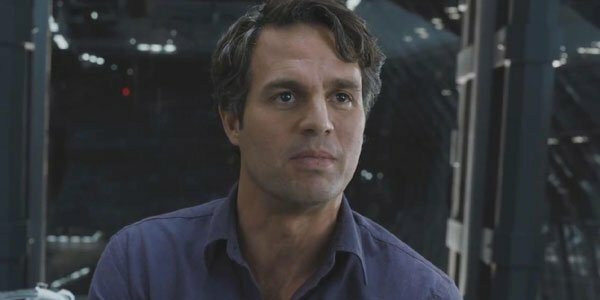 The Hulk is triggered by rising blood pressure, meaning that you really don’t ever want to see Bruce Banner when he gets angry. How Does He Fit? Bruce and Tony struck up quite a friendship during their time fighting together with The Avengers, with each of them appreciating the other’s intellect and the latter being fascinated by the former’s enormous green rage monster condition. At the end of Joss Whedon’s movie the duo is seen driving away together in Tony’s car. Apparently their friendship has taken an interesting professional turn in the time since.